Earlier this month, the Alliance of American Football League suddenly suspended all football related operations just eight weeks into their 1st season of play. It was a shocking turn of events for the hundreds of thousands who enjoyed watching the up-start league continue to flourish week after week. As the days went on, we kept learning more and more details of how players were treated upon finding out the news that their paychecks would be suddenly stopped without noticed. Former Memphis Express guard Oni Omoile, a former Oakland Raiders player was one of many who were left stranded upon hearing the news, but it got even worse when he sat down for a podcast interview with Silver and Black Pride to discuss the fallout and shed light on what fans did not know about. 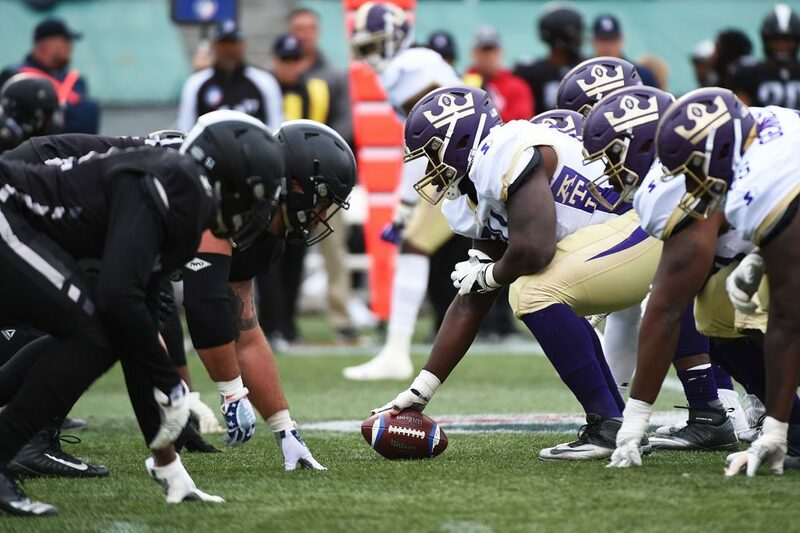 During his final AAF contest, Omoile suffered a concussion and had plans to meet with the team doctor, but never got that chance once the news dropped. “I was told we had to leave by the following morning, that we couldn’t stay at our hotels anymore. Some people had their stuff thrown out of their rooms into the hotel lobby. And one of our guys was from New York and he had to drive 17 hours. I was lucky, I only had to drive like 7 hours, 30 minutes or something, but I was still driving with concussion symptoms, which is very dangerous and I probably shouldn’t have done it, but I felt like I didn’t have a choice so I toughed it out. Upwards of 40+ former AAF players have since been signed to NFL teams, which was the goal of the league to begin with, but the way they went about closing and leaving players in the dark was not professional at all.